If you’re looking to buy a genuine PANArt Hang, it’s safe to say you’ve missed the boat, as the saying goes. Since its production was discontinued in 2013, your only chance of getting a PANArt Hang is by buying a second hand one on market place sites such as eBay or Craigslist. I've written a guide on buying from eBay and Craigslist here. The problem with buying second hand is that because of their discontinuation, the price of second hand Hangs have skyrocketed! At the time of writing this, there is only one PANArt Hang available on eBay international and it’s listed at $7,000! We've seen them range up to $15,000 on eBay! 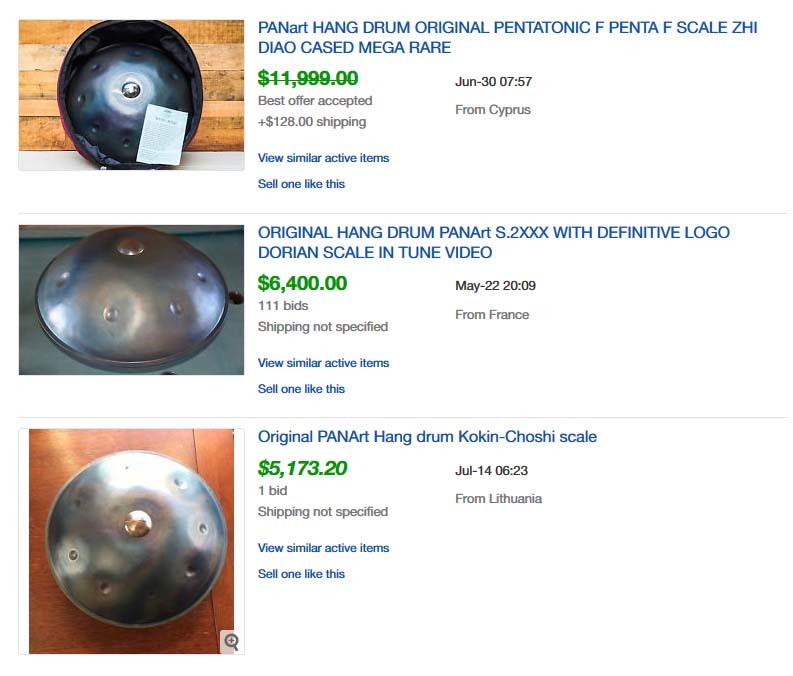 In our view you’d be silly to pay any more than $4,000 for any Hang Drum, especially when there are other options now available besides PANArt Hangs, which are of the same quality and are available at a much more reasonable price. Back in 2001 when PANArt first opened their doors to selling the Hang to the general public, their initial starting price was $400. Right about now, you're probably wishing you could build a time machine to go back and grab one of these beauties for $400. But ya can't. As you can imagine, when the popularity for this beautiful instrument grew, so did the price tag. The last generation, just before they were discontinued sold at $2,600 each. It would be reasonable to say that the genuine Hang has become somewhat of a collectors item now. As we've mentioned already, a second hand genuine PANArt Hang can range from $4,000 - $12,000 and up. It's safe to say that this is not an option for most people. If you're set on getting yourself a genuine Hang, then it might be worth trying to hunt one down on eBay or Craigslist, but beware! These kinds of items can attract scammers because of their high price. So don't get fooled by a deal that is "too good". If it's too good to be true then it usually is. Always research the seller and if it's a Craigslist listing, ask to see the item in person before making the deal. Luckily there are now a growing number of manufacturers making Hand Pans just like the Hang at much more reasonable prices. These instruments generally range in price between $1,900 to 3,000, with the cheaper options usually being manufactured in Bali. The more expensive option at $3,000 is made according to the original PANArt method, so this is probably the best option for most people. So what can you expect to pay for a Hang? It really depends on what you buy and where you buy it. 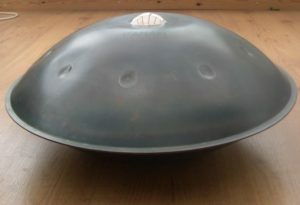 In short you can expect to pay 1,900 - $3,000 for a Hang style Hand Pan. You can find alternatives for $200 - $800, I will go into the cheaper alternatives further down the page here. For a hand pan similar to a Genuine Hang, you're looking at around $1,900. Hang Drums around this price range are good quality and are generally made in Bali or Russia. While they are not made exactly to the PANArt Method, they are still lovely instruments. 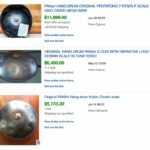 For a Hang Drum that is made according to the PANArt Method you can expect to pay around $3,000 on online stores, such as Amazon. If this is understandably out of your budget, there are other options available on our Homepage.